We are dropping some more water knowledge to you this week on how water intake (or lack of it) impacts your exercise performance. Why is it important to drink water during exercise? Your body is pretty darn smart. We all have had an experience while exercising and suddenly feel like we need water ASAP. The body has mechanisms in place to prevent dehydration by triggering receptors in your brain to make you feel thirsty. This triggering usually doesn’t happen until you have lost 2-3% of body water. 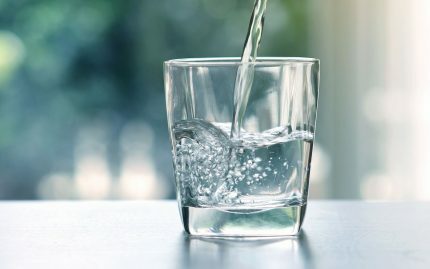 While drinking water at this time is your body’s way of ensuring survival, by the time you have lost this much water your exercise performance is likely already decreasing. Therefore it is important to hydrate during exercise so you are replenishing the water lost (aka sweat) and you are staying ahead of it before it impacts your performance. This is especially true when preforming endurance exercises, such as long runs, a 2K row, a workout lasting over an hour, etc. When you exercise and sweat a lot your blood volume naturally decreases do to the loss of water; because of this your heart has to then pump harder to get blood to your muscles. If you are not hydrating during this time it can lead to fatigue, muscle cramps, dizziness, headaches, fainting, rapid heart rate and even nausea. SO clearly being intentional about getting in water during exercise is super important. How much water should you drink during exercise to improve performance? On average you should consume about 8oz/1cup of water every 15 minutes during exercise. This varies based on body size, temperature (if you are working out at the noon class in July), and how much energy you are exerting (so anytime you are doing the fan bike you should definitely increase this amount)! Staying hydrated before, during, and after your workout will help you preform better, recover faster, feel more energized and most likely less sore the next day; so drink up!